A gangster film with a difference; gone are the romantic, sweeping strokes of the films we know and love, and in its place is a City of God style realism that takes you to the heart of this violent world. Based on Roberto Saviano’s best selling account of the Camora, an crime organization in Naples that is akin to the Sicilian Mafia and directed by Mateo Garrone, this incredible film is so engaging for a film that eschews conventional story-telling and in its place gives the audience a documentary style that grabs the viewer and doesn’t let go until the final credits. 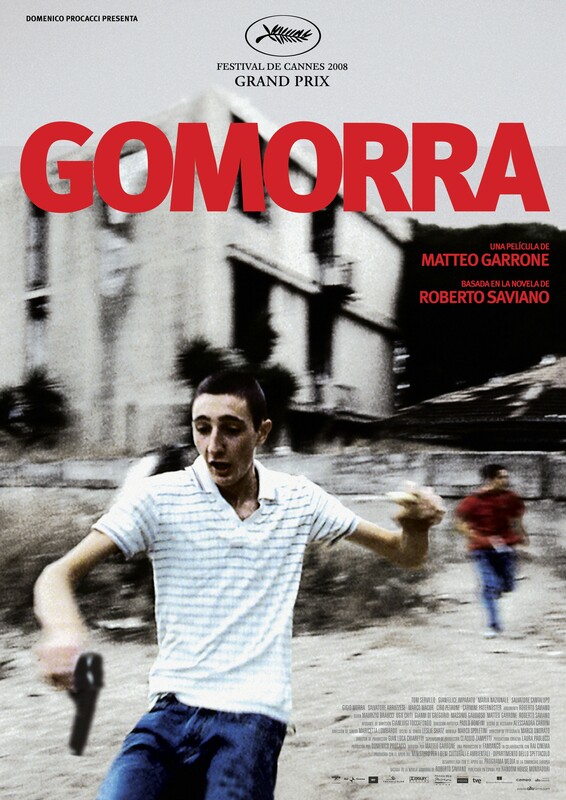 Garrone lived for 2 months in the Scampia area that the film takes place in before filming the movie and Saviano, the writer of the book, had to go into hiding after the publication in fear for his life. The violence is quick and over before you know it, making it all the more visceral and shocking, but it’s the threat of violence that looms over the proceedings that lingers. The estate that much of the film takes place in is steeped in poverty and the residents are trapped in a cycle of war between the gangs that live there. The word mafia is never used in The Godfather, and the same happens here, Camora is never mentioned. Gomorrah won the Grand Jury Prize at Cannes the year it came out and well-deservedly so. This is a film like few others. It feels like a documentary and this is down to the brilliant editing of Marco Spoletini, the impeccable direction of Garrone but the main honours should go to the actors. Toni Servillo is the only really well-known actor here, the rest are a mixture of seasoned theatre actors and kids from the street (as in City of God). They are so committed and rooted in reality that you never see the acting and this is testament to Garrone’s direction and their incredible talent. The last shot is so powerful, it’s been a while since I felt this way at the end of a film. With the release of the television series, it was finally time to watch this film that has been on my radar since it came out and what an experience it was. This is a brilliant indictment of the corrupt, broken system that is in place in Naples to this day; brutal, raw and honest.